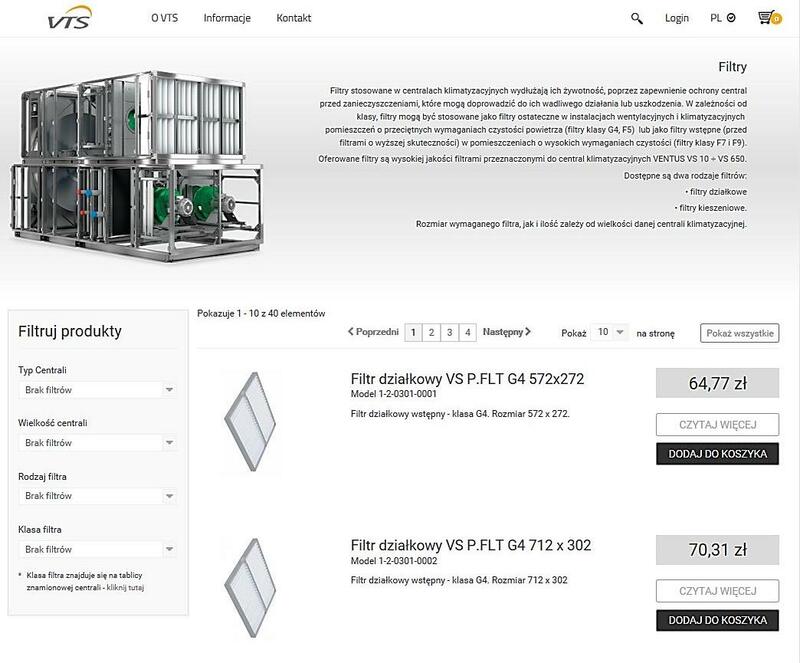 In March, VTS introduced a new category of products to its online shop in the form of filters for VENTUS air handling units. This is yet another step towards the development of the brand’s e-commerce platform. VTS has just completed implementation works and tests for the second part of its eShop platform which focuses on service parts for air handling units. Current offer, which consists of a complete portfolio of the VTS EUROHEAT brand, has been extended to consumables for VENTUS devices, first in the form of filters. We offer two types of filters: bag and flat filters for VENTUS VS 10 ÷ VS 650 air handling units. The size and number of filters depends on the size of the air handling unit itself. Through clear navigation and fine filtration users will be able to immediately find appropriate products at truly attractive prices. In order to start shopping, you just need to select your target market and desired product category. Next step will be the introduction of automation products and spare parts for air handling units. For the enhanced functionality of eShop visit eshop.vtsgroup.com. Enjoy your shopping.